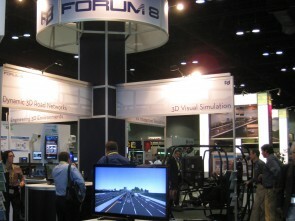 Intelligent Transport Systems 2011 Exhibition Booth designed for Forum8 Co., LTD. 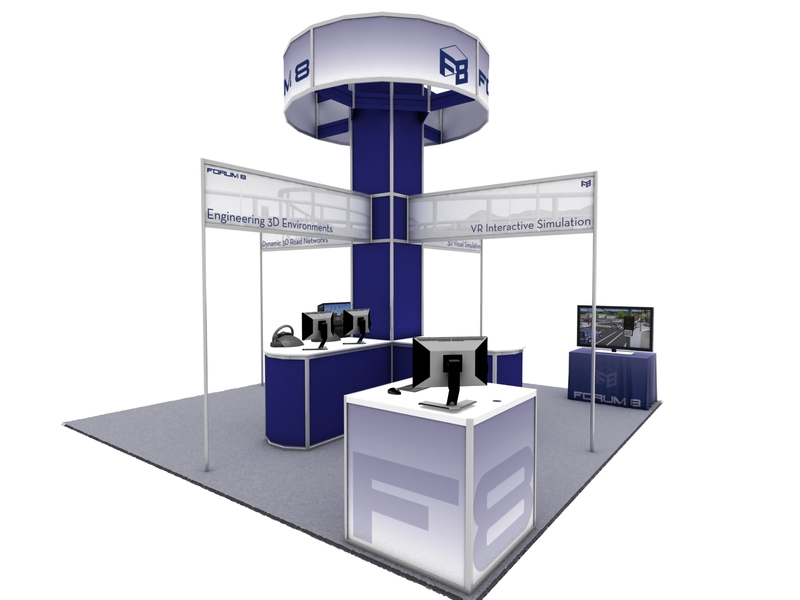 This 20’x20′ transportation show booth was designed in sketch-up, remodeled in AutoCAD, and animated/rendered in 3DSmax + Vray. The layout design had to incorporate several 3D simulation technologies, including a multi-axis drive simulator from SimCraft, 3 Logitech gaming wheel systems attached to laptops, a multi-screen G VAL tunnel simulation training system from BMIA, and a hands-free virtual driving beta test. The booth space was effectively divided into quadrants that were transparent to each other yet offered differentiation of the VR technologies and applications. 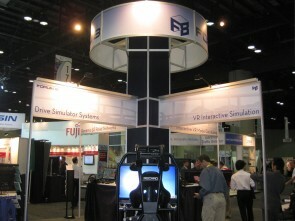 We designed this booth from the ground up, including the layout, the graphics, the materials, the lighting, and the electrical. 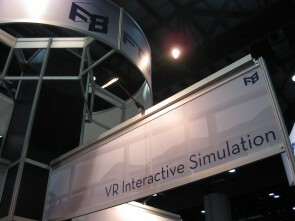 The animation helped to sell our design to the client as well as helped the building crew know where to place the signage.